Those who know me well know that I can be emotional. Saying that feels odd, since humans are emotional beings. Frequently, however, I feel like some of us may be more emotional than others, especially when I am a bit overcome with emotion and try to fight back those feelings, (primarily in public) in fear of embarrassment or ridicule. Obviously, there is a whole range of emotions in human life, and I suppose I need to identify which emotions I am speaking of to better focus what I want to say reflecting on recent discoveries. I am specifically talking about reactions of sorrow (lament, hurting, longing) and joy (happiness, satisfaction, fulfillment). I know these are more than emotion, especially joy, but emotions seem intrinsically tied to them in human expression and response. I am particularly given to tears whether at the movies, listening to beautiful music or a simple song, or reading a dramatic story. I won’t even “go there” to talk about observing life; grandchildren, family, friends, etc. Well, Friday provided an unexpected blessing as travel plans changed and I ended up with the all too rare opportunity to spend an evening with my wife. We went to a movie I had wanted to see and then to dinner. The movie was Red Tails, a George Lucas film starring Cuba Gooding Jr, and based on a true saga of the Tuskegee Airmen in World War II. The story is itself an inspiration and appropriately the source of legendary hero status for these pilots and crew of the 332nd Fighter Group. The movie was masterfully crafted to pull us into the lives of the characters and get a sense of the struggles these men faced in their personal lives and relationships, as well as the hell that is war, aggravated beyond compare given prominent issues of racial discrimination at the time. The complexities of the story are well developed. Though fully anticipated, every last good-bye, every downed pilot, and every surprise return of those who were feared doomed or lost had me fighting tears. The discovery for me in this, another emotional two hours t at the movies, was initially spurred by my comparing the “guy movie” parts – blowing up “Jerries” (slang for Germans in WWII) with the softer undertones of the obligatory love story subplot and human relations parts – Caucasian bomber pilots finally inviting the African-American fighter pilots into the officer’s club after they saved their lives. But I began to analyze a little more closely the juxtaposed responses from within me (an emotional human being) in light of being a believer and one who seeks to center worship (personal and corporate) in God’s story. It started to occur to me that nothing turns on the tears and emotions that precede them as quickly or powerfully as moments of separation (sorrow, lament) and/or moments of reunion (joy, happiness). And this is Gospel, God’s story. The Bible is one long ongoing revelation of separation and reunion, is it not? Because there are so many different directions you can go with this application, I’ll leave it to you to explore and ruminate on those, Old and New Testament from pre-history into eternity. As stated in the first paragraph, humans are emotional beings, and I suppose my admission to being emotional means I am acknowledging that I am human, and hey….that’s not such a bad thing after all. 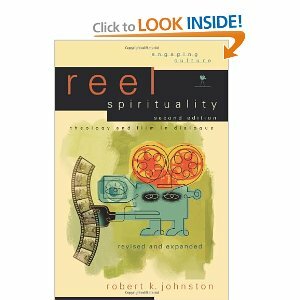 *For a rich treatise see Reel Spirituality: Theology and Film in Dialogue by Fuller Theological Seminary professor, Robert K. Johnston. 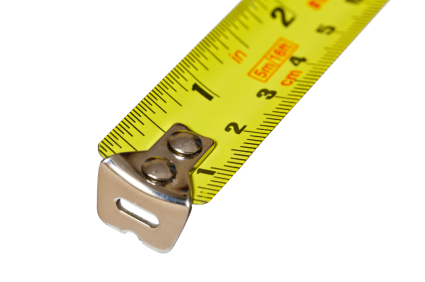 Worship Pastors, how do you measure your work in relation to the church’s worship? We live in a society obsessed with utility. One of the stumbling blocks to giving and receiving Gospel is a prevailing attitude of “What’s the use?” The dominance of utilitarianism has certainly not been exorcized from the church and thus from its worship. The obsession may explain the pressure many of us feel who have responsibility for the arts in worship. Sadly, many pastors and worship music leaders contend with depleted reserve banks of personal courage in the struggle with forces that would turn worship into a means to an end endeavor. Thus we have music selected to attract people to our church. We have rooms that announce a higher priority on personal comfort and/or theatrical entertainment than God- in-the-world reflection. The push for bodies and nickels pushes us to a bent more akin to incantation than Incarnation. One reason art serves worship well is that each, art or worship, in its purest form defies explanation as utility. Andy Crouch states that each of these “asserts itself as an end – intrinsically, and in some sense inexplicably, worthwhile.” This does not mean each is not subject to perversion. To the contrary, we find ourselves steeped in attempts to subject art and worship, or more particularly, art in worship to the idol of utility. Moving through and past those attempts calls for that which is at the root of salvation itself, namely Christian faith. Worship Music Leaders serving in the culture that lives to serve itself as its own idolic reward (wanting to be in worship where we “get something out of it”), are in need of prayer and support to speak truth to this power much as the prophets who spoke into the idol worship of straying Israel. Just remember that Christian life sustained by worship is best understood as gift.